Microsoft’s Xbox Adaptive Controller is already an amazing device for gamers with disabilities, but to offer a full experience, the Redmond-based giant has decided to go one step further and create special packaging that those with limited mobility can truly enjoy. As every gadget enthusiast out there knows, unboxing a new device is an extremely satisfying experience, and the more awesome the feeling is when opening the box of a premium product. Microsoft itself is no stranger of premium products, and the packaging of its devices is among the best on the market. So for the Xbox Adaptive Controller, the company decided to create something unique that would let even those with disabilities enjoy the great feeling of opening a new device. 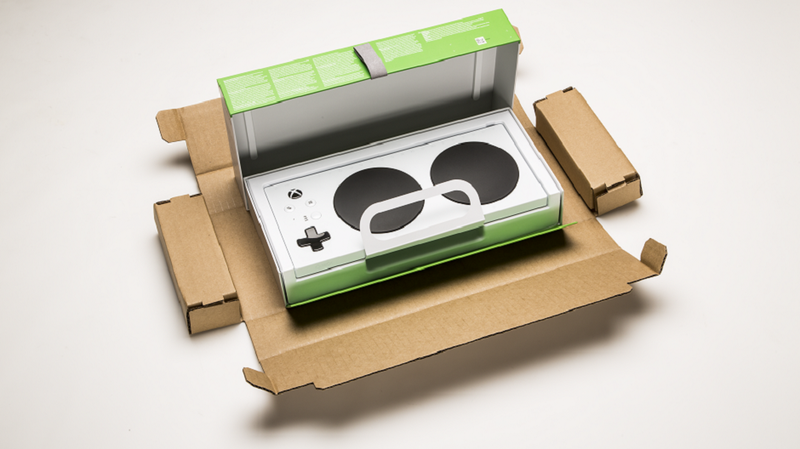 The Xbox Adaptive Controller is shipped in a new box that can be opened just with the teeth, and both the shipper and the retail boxes were designed from the very beginning to unfold with minimal friction. For protection of the controller, Microsoft has used what it calls discreet air cells, and the unboxing process itself is extremely simple, without reducing the original feel we described above. “The leveraging of loops begins with the tear-strip on the single shipper, kicking off the out-of-box experience seamlessly. On the retail box, a specially designed ‘break-the-seal’ label (which keeps the box lid secured to the base) employs two loops, for multi-directional removal. A soft, grey loop initiates the opening experience, then there are integrated loops on both the paper Quick Start Guide (QSG) and cable folio. There are five loops on the XAC packaging from beginning to end,” Microsoft explains. The controller itself can be removed from the box either by pulling the loop or simply by sliding it. The box was developed with a low center of gravity, which means that it offers good stability all the time. The hinged lid also offers easy access to the controller without any risk of damage. The new Adaptive Controller will go on sale in September and it’ll cost $99.99. It can already be pre-ordered from the Microsoft Store.